Figure 1. Irrometer’s Watermark Sensor. Watermark sensors have been on the market since 1978 (!). Two electrodes inside the sensor measure the electrical resistance in the soil. The resistance corresponds to a particular soil moisture tension value. So, Watermark sensors effectively measure soil moisture tension. You might have see the terms “soil moisture tension” or “soil moisture potential” used interchangeably. Bottom line, both terms tell you how hard the plant has to work to pull moisture from the soil. It’s usually measured in kilopascals (kPa) or centibars (cbar); these units are equivalent. Figure 2. Soil moisture tension is measured in kilopascals or centibars. If the soil is dry, the sensor will measure a very negative number (farthest from zero; e.g. -75). The more negative the number, the dryer the soil is and the harder the plant has to work to extract water from the soil. You can see this in the screenshot of the Trellis Dashboard, shown in Figure 3. In the first part of the graph, both sensors have higher readings (a less negative number) and are reading wet. Later on, the 10” sensor starts measuring very negative values and is very dry. Figure 3. Measurements over time from soil moisture sensors at 5” & 10” depths. How much do Watermark sensors cost? Figure 4. Watermark Digital Meter. “Read-it-yourself” route: Purchase a hand-held Watermark Digital Meter (see Figure 4). These will run you roughly ~$300. Whenever you’d like to retrieve a soil moisture measurement, you’ll hook the alligator clips to the sensor wires to take a reading. Wireless route: Purchase a telemetry station to retrieve soil moisture sensor data wirelessly. There are a number of different options available, but we’re admittedly biased towards our sensor stations (see Figure 5) that record soil moisture data every two hours. Watermark sensors must have good soil contact to provide accurate readings. Soak sensors overnight before installing. Use an auger drill bit to drill a hole. Mix a small amount of water with the removed soil to make a slurry. Insert probe into the hole and backfill with slurry mixture. Use your hands to remove any air pockets around the sensors. To see an installation in action, check out our installation video! Sentek Drill & Drop sensors (see Figure 6) are capacitance-based sensors and measure volumetric soil moisture. Volumetric soil moisture content is expressed as a percentage. Figure 6. Sentek Drill & Drop Sensor. Unlike the Watermark sensor, which measures soil moisture at a single location, the Sentek Drill & Drop measures soil moisture and soil temperature every 4” along the length of the probe. So, if you have a Drill & Drop probe that is 2 feet long, the sensor measures soil moisture and temperature at depths of 2”, 6”, 10”, 14”, 18”, and 22”. In addition to soil moisture and soil temperature, the Sentek Drill & Drop Triscan sensor also measures electroconductivity every 4” along the length of the probe. How much do Sentek sensors cost? Sentek Drill & Drop probes can range from about $1,200 to $2,500, depending on the depth of the probe, whether telemetry is included, and whether electroconductivity is being measured with the probe. 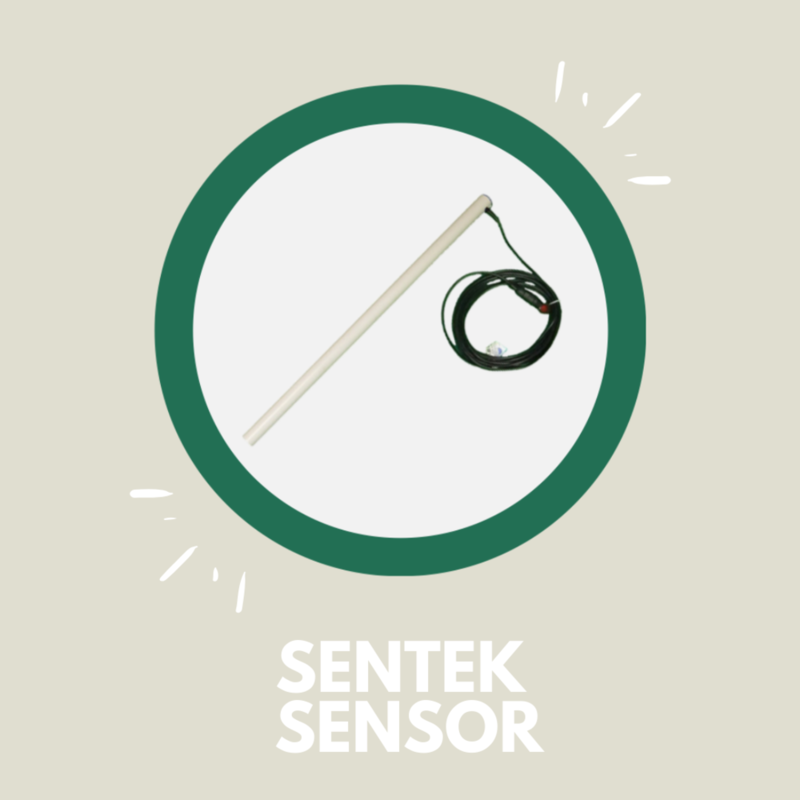 The tradeoff with the higher cost of the Sentek unit is more data (sensors every 4”) and a longer lasting probe. Sentek provides data from the entire root zone, enabling growers to track nutrient leeching and salinity changes, as well as moisture and temperature levels. In addition, the Sentek probe will likely last twice as long as a Watermark sensor. Figure 7. Sentek Moisture Data on the Trellis Dashboard. Because of the Drill & Drop probe’s shape and to ensure proper contact with the soil, in order to do a dry install, you would need to use Sentek’s tapered auger drill bit. This auger typically runs around $350 to $450, which is a little steep for some. With that said, installing a Sentek probe with the correct auger is a fast, simple, and reliable method. If you opt to not use the tapered auger, we would use a slurry method (the same method used to install Watermark sensors) to ensure prober soil to sensor contact. We often get asked whether or not the tapered auger has to exactly match the length of the probe. For example, could you use the 4 foot Sentek tapered auger to install a 2 foot probe? Because of the tapering of the probe, the general rule of thumb is that you can use a particular auger to install a Drill & Drop probe that is 1 foot shorter, but not 2 feet shorter. So with the 4 foot auger, you could install a 3 foot probe, but not a 2 foot probe. Likewise, if you had the 3 foot auger, you could install a 2 foot probe, but not a 1 foot probe. Sensors are not one size fits all. There are pros and cons to both the electrical resistance soil tension and capacitance measurements, à la Watermark and Sentek (see Figure 8, below). Figure 8. 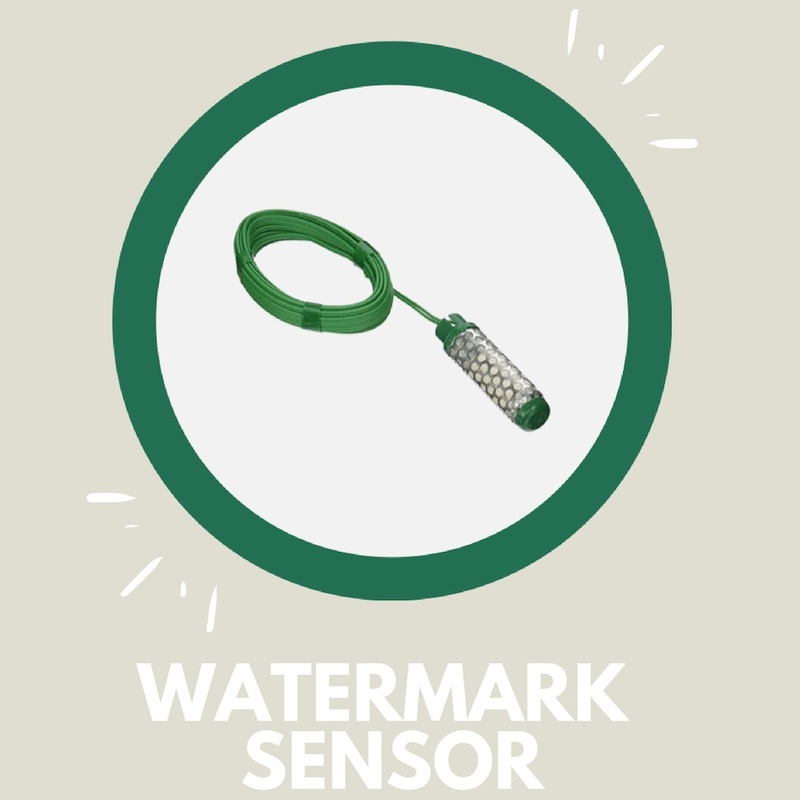 Pros & Cons of Watermark vs. Sentek. The key is to understand what data you want to receive and to regularly monitor it with a telemetry system so that you are aware of what is happening in the important parts of your field. With consistent monitoring, you’ll be able to make smarter irrigation and input decisions, which will put more money in your pocket at the end of the season.